Every customer is different. If you want to have meaningful interactions with them, you have to know more than their basic information. How are they engaging with your site? Do they respond to your email marketing campaigns? What are they saying about you on social media? SalesSignals in Zoho CRM gives you the real-time analytics and notifications you need to reach out to every customer. Opportunities are like sunrises. If you wait too long, you'll miss them. Waiting for that prospect you've been chasing all week to open your email? You'll be notified immediately once they do. Gain an understanding of where you stand with the customer, so your team can have conversations with context. 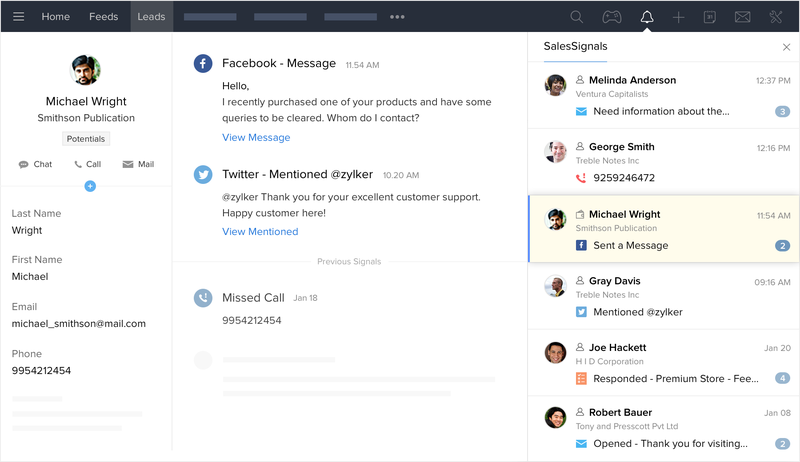 SalesSignals sends you real-time notifications when a customer interacts with you or your company on social media, so you can respond right away. Filter out the noise. Choose the SalesSignals that are important to you. 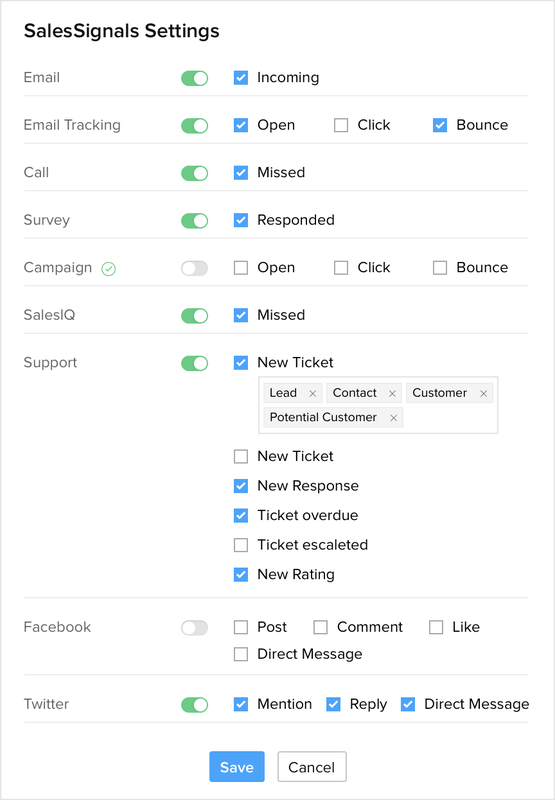 If you are a B2B company that doesn't use a social media selling strategy, silence those notifications and only focus on items that matter to you, like customer support tickets. Real-time signals from any third-party apps. When you're using multiple applications to run your business, it gets tedious to constantly switch between them to check your notifications. 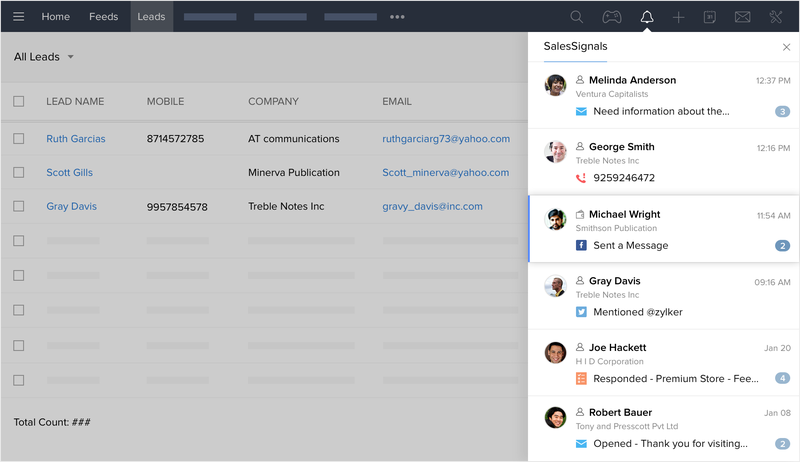 SalesSignals brings all your notifications across multiple apps to one place. All you have to do is integrate any third-party apps you use with your CRM through APIs. We also offer native integrations, such as Zoho Survey and Zoho Campaigns.